We recognize that whatever threatens fish and wildlife also threatens people, and that what is good for one is good for the other. To combat the increasing threats to public health posed by obesity and stress, we work to conserve opportunities for people to participate in quiet exercise and recreation. Limiting roads and the use of motorized vehicles on public lands at the same time reduces these major threats to water quality, fish and wildlife. Time magazine reported on April 5, 2004 that noise at even half the levels emitted by off-road vehicles may be linked to high blood pressure, stress, heart damage, and depression. Similarly, obesity contributes to higher risks of diabetes, heart disease, cancer, chronic arthritis, and depression. 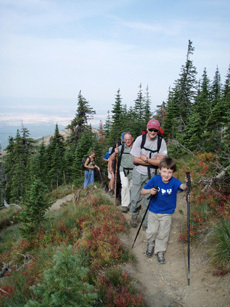 As even Montana becomes increasingly urban, nearby public lands become all the more important for providing the peace and quiet essential to healthy exercise and the reduction of everyday stress. America’s public lands are its peoples’ common ground. We oppose efforts to privatize these lands and overly zealous programs to privatize the resources they provide, be it through corporate industrialization or “pay to play” recreation. Public lands belong to the people, not the highest bidder! 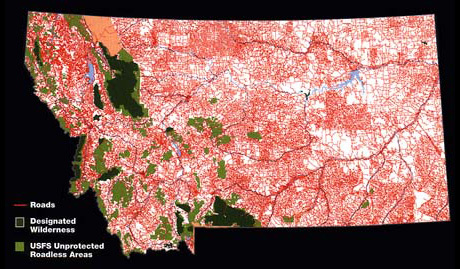 Ecosystem Protection Science overwhelmingly finds that roadless lands and Wilderness areas are essential to ecosystem integrity. We work to keep all remaining roadless areas on public lands roadless, unlogged and nonmotorized until Congress acts to designate them Wilderness. 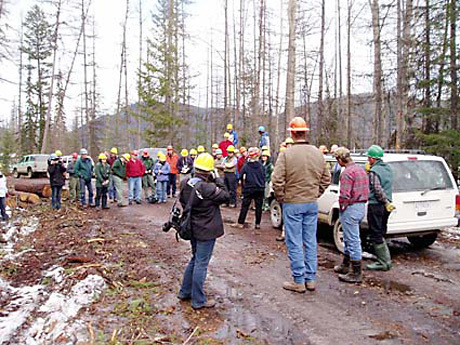 A truly sustainable timber sale program is one which also sustains water quality, fish and wildlife - rather than always needing to build more roads and consume more land and old-growth forest. 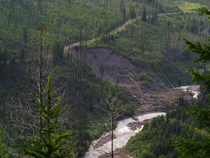 Ecosystem Restoration Science also finds that roads have the single worst effect on lands and watersheds. We work to remove roads from damaged ecosystems and to limit the use of motorized vehicles to the roads that remain. Contrary to industry hype, restoring forests to pre-settlement conditions primarily requires the removal of the roads and off-road vehicles, not the trees. For more, see our Code of Forest Ethics and Code of Quiet.